When I think back to my earliest memories of writing and telling stories and how I slowly learned my craft, to form my words, to compose a story, typewriters were inextricably intertwined. Even from the age of three or four, I had a wild imagination. I remember making up elaborate fantasy worlds with the complexity of Games of Thrones intrigue. I played with my two neighbor friends Holly and Leslie, our front and backyards our competing nations. The play-acting involved imaginary castles, semi-forts of blankets and boards, and they involved princesses being captured by dragons and other fanciful creatures. I was a bit bossy; the story was all mine. I remember marching across our lawns, my friends trailing behind me like minions as I pointed out locations and roles. My sisters taught me to read around this time – I don’t remember the book exactly, but I remember hiding with one of my sisters in a built-in cabinet (yet another castle) in Holly’s garage, as my sister pointed out the letters and words in the book. Reading of course would be how I learned the art of storytelling, but typewriters were the magic bus. Around the age of four or five, I’d visit my paternal grandfather Raymond Orr, a veteran of WWI and WWII, and by then a justice of the peace in Kerrville, Texas. He was a very quiet, but stern man of strong convictions. 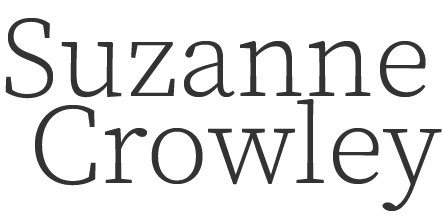 While he gave certain citizens of small-town Kerrville a stern talking to for various things as drunken disorderliness, or married couples in his chambers, I stood at his desk and typed away on his old-fashioned black typewriter. I don’t remember if what I was writing was coherent; but the motions of it, the Tap! Tap! Tap of the typebar (had to look that up) hitting the crisp, white paper, and leaving a mark, was absolutely mesmerizing to me in a primitive way. It spoke to my soul. Then swinging the carriage release lever followed by the lovely tingle of the bell as the carriage swung back into place. To me, this was part of the process of forming a story. The letters and simple words on the page looked like the paragraphs in the book I was learning to read in the cabinet-castle. After typing my “story” (probably mainly mish-mash) I’d pull the pages out of my grandfather’s typewriter, fold them down the middle, and then staple down the folded line. Voila– a book! When I was back home, I continued my craft of writing stories and making books, with stapled paper, although these were handwritten as I didn’t have access to a typewriter. I also filled spiral notebooks with handwritten stories. The production of my stories became fancier and fancier as I went through elementary school. By now I was using cardboard to make the “books” – complete with illustrations, end-pages, and even a logo on the back cover. Sometime during junior high, a typewriter appeared back in my life. My parents bought me a “kids” typewriter. It was a grey, plastic number with a cover that clipped into place when not in use. I adored it. I began to type my stories which were slowly involving into longer chapter books. Again the Tap! Tap! Tap! of the levers gave me the vicarious thrill that I was a real author. I’d set quotas for how long each typed chapter was – ten pages was the magic number. If I was on page 5 and I didn’t know what was coming next in my tale, I’d make up dialog between the characters until I reached page 10 – an early exercise in “just write” then fix it later. Of course, writing a story on a typewriter is much different than writing on a computer. That’s a whole other subject. Really, only typos could be fixed, and they had to be fixed with “white-out” or “liquid paper,” (anyone remember these?) which left an obvious white smudge on the page. In high school and college, I worked at my father’s architectural firm in the summers. By now electric typewriters were the rage – Selectrics. Typewriters had come a long way. They were fast, you could self-correct with a backspace (no more ammonia smelling white-out) and on top of the Tap, Tap, Tap sound of the levers, there was the added, soothing whir of the motor – and still the lilt of the bell -a Pavlovian feel of, “I’ve finished a line!” I’ve always felt a special kinship with You’ve Got Mail’s Frank Navasky – my typewriter loving twin – and his quirky obsession with these wonderful machines. 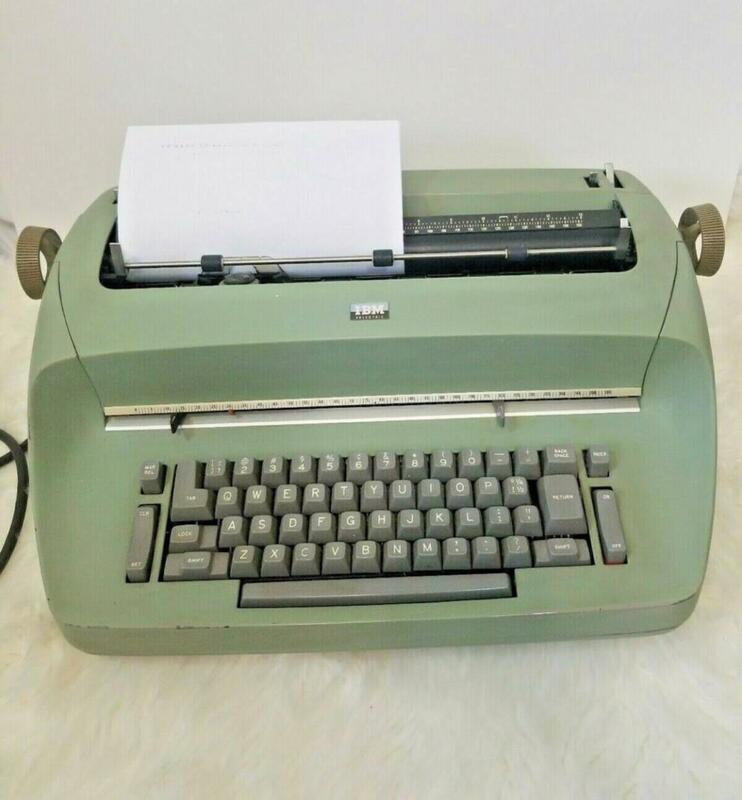 I continued to write at home, on my little grey typewriter – now mainly short stories, for a high school short story class, or papers for English. When I went to college, my father bought me one of the used Selectric’s from his office. I used it to type my papers, and my fellow students appreciated the opportunity to borrow it more often than I’d have liked. This all changed my senior year in college when I got the very earliest Apple computer. There was still no internet – this was for only typing compositions. But what a new world. My mind began to wonder how this would change my writing – being able to compose a paragraph and then immediately change it as new thoughts came to mind. It was a whole new way of forming a story. And it was a good thing. But I think I missed my typewriters. Years, years later, when my most recent book, Finding Esme, came out I had to join the social media world. I noticed a lot of “bookstagrammers” were using authentic antique typewriters in the “flat lay” next to whatever book they were reviewing. 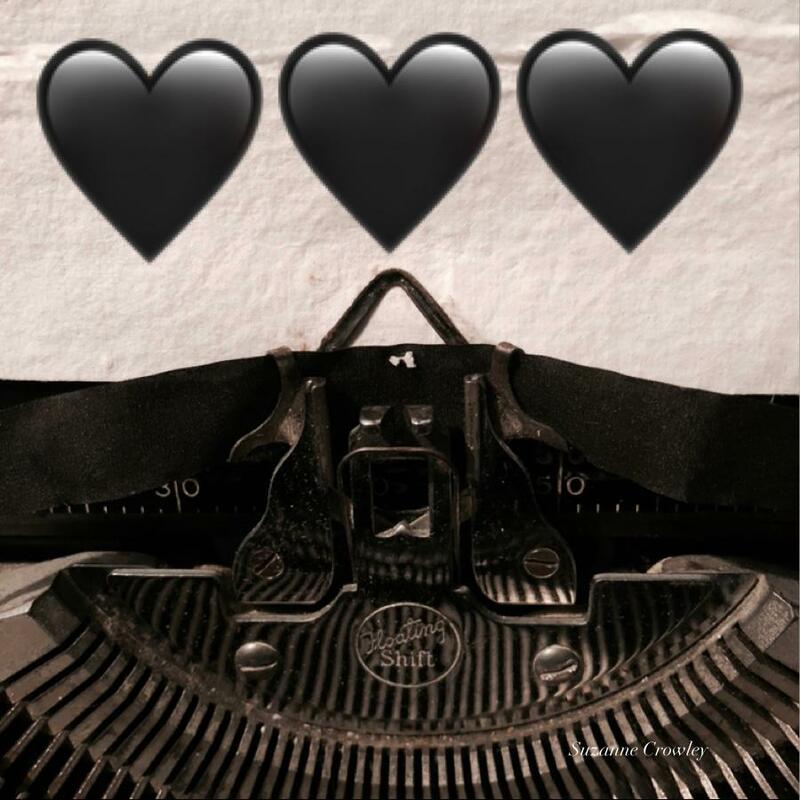 I quickly bought an antique typewriter off of Etsy to pose in my posts with my book and bookmarks to represent I’m a “real” author – I “make” stories. It was a lot like that first typewriter I pitter-pattered away on in my grandfather’s chambers. This antique typewriter, really doesn’t work well, it’s mainly a feel-good nod to nostalgia in my photos. I decided I wanted a typewriter I could really use again, even if it was to simply type an address on an envelope. A man about my age, the type who probably adores modern technology, was eavesdropping. “A typewriter? What the heck do you want a typewriter for?” he laughed sarcastically. “Everything and anything,” I told him.